a) the scales of them are small. b) the data sets lack diversity because the data are mainly collected from a single collection area. c) the electricity consumption patterns have significant differences between developing countries and developed countries. However, most of the data sets are collected form the developed countries. d) the data sets are not scalable, limiting the use of the advanced data processing technologies, especially big data technologies. e) Even if the data sets are anonymized, the disclosure of the data potentially brings about the privacy and security issue. Here, we employed the hierarchical multi-matrices Markov model, which is proposed in our below paper, to respectively simulate two real datasets, and two trained models are obtained. Researchers are allowed to directly use these trained models to synthesize scalable electricity load curves for further researches. The models contain the most types of user compared with the exiting available public data set. What's more, the researchers are allowed to share their data freely. The EleGeneration contains the trained models and the generator. One model is trained by the resident customer electricity consumption data, and it can be used to generate the resident electricity load curves. 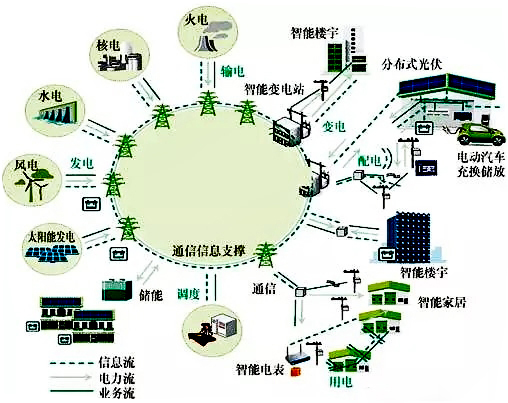 The other model is trained by the non-resident customer electricity consumption data, and it can be used to generate the non-resident electricity load curves. The value of the electricity load curve is collected every 15 min. The instruction of the generator is contained in the file readme.txt. Y. Huang, J. Zhan, C. Luo, L. Wang, N. Wang, D. Zheng, F. Fan, R. Ren, An electricity consumption model for synthesizing scalable electricity load curves, Energy 169 (2019) 674–683. Abstract: Electricity users are the major players of the electricity systems, and electricity consumption is growing at an extraordinary rate. The research on electricity consumption behaviors are becoming increasingly important to design and deployment of the electricity systems. However, the acquisition of data related to the electricity consumption behaviors is still a major challenge. Data synthesis is among the best approaches to solving the issue, and the key is the model that preserves the real electricity consumption behaviors. In this paper, we propose a hierarchical multi-matrices Markov (HMM) model to synthesize scalable electricity load curves that preserve the real consumption behaviors on three time scales: per day, per week, and per year. To promote the research on the electricity consumption behaviors, we use the HMM approach to modeling two distinctive raw electricity load curves. One is collected from the resident sector, and the other is collected from the non-resident sectors, including different industries such as education, finance, and manufacturing. The experiments show our model performs much better than the cluster-based Markov model. We publish two trained models online, publicly available from http://www.benchcouncil.org/electricity, and researchers are allowed to directly use these trained models to synthesize scalable electricity load curves for further research.